There are many ways to give to the New Jersey Vietnam Veterans’ Memorial Foundation with custom benefits and privileges available in recognition of your generosity. Sponsors of our events are recognized on all related digital marketing through social media, website event pages, and event emails. Why sponsorship? Several studies have shown that consumers understand and appreciate sponsorship, and that sponsorship can greatly influence buying decisions. In fact, sponsorship has the greatest impact on highly educated, higher income individuals who are difficult to reach through traditional media. Sponsorships at the New Jersey Vietnam Veterans’ Memorial Foundation allow companies to strengthen their name recognition and reach targeted audiences while meeting their business goals. For more information on sponsorship opportunities to support to the New Jersey Vietnam Veterans’ Memorial Foundation, contact Jillian Decker, Director of Development, at 732.335.0033 x110. 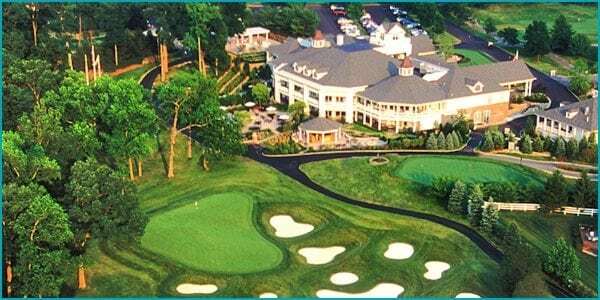 The New Jersey Vietnam Veterans’ Memorial Foundation’s Annual Golf Tournament is held at the famed Eagle Oaks, a championship caliber golf course designed by Jack Nicklaus and Johnny Miller and host to premier tournaments. Learn more. Your reservation includes a full breakfast, refreshments on the course, post-golf reception and dinner, locker room facilities, greens fees, carts, and all gratuities. Please join us for an exciting fundraising event at Hudson Farm Club in Andover NJ. Please consider sponsoring this great event, as all proceeds support our staff and programs. The New Jersey Vietnam Veterans’ Memorial Foundation’s 23rd Annual Salute to Patriotism Gala will celebrate the 30th anniversary of the groundbreaking for the Memorial. The reception, dinner, and program will be held on Thursday, April 4th at the Eagle Oaks Golf and Country Club in Farmingdale, NJ. Our Annual Gala provides support for the care of the New Jersey Vietnam Veterans’ Memorial. It also supports the Vietnam Era Museum and its educational programs, outreach, ceremonies, research initiatives and exhibitions. As the only site of its kind in the country, your support ensures that the legacies and lessons of the Vietnam Era will continue to be taught to future generations. Learn more.